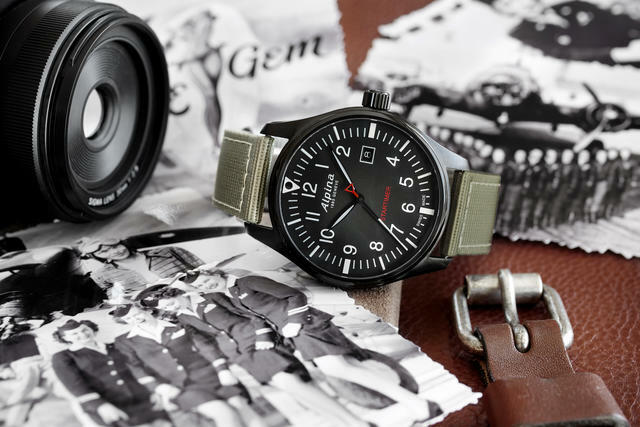 With Alpina’s laser-like focus on pilot’s watches, the Geneva-based brand’s new Startimer Pilot Quartz perfectly carries on a tradition begun long ago. 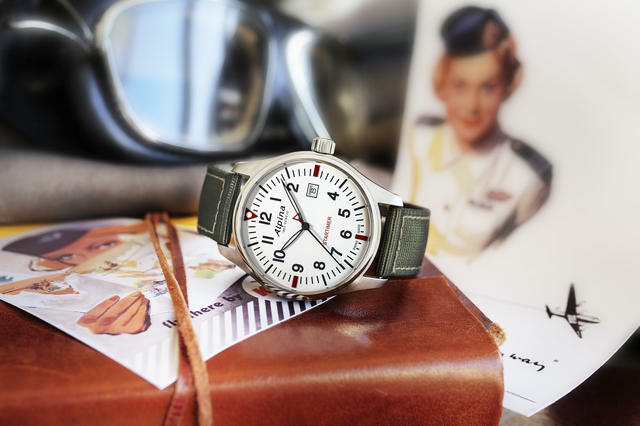 Alpina has been making professional pilot watches for decades, and it was, in fact, the official supplier of military aviation watches to continental air forces in the first half of the twentieth century. 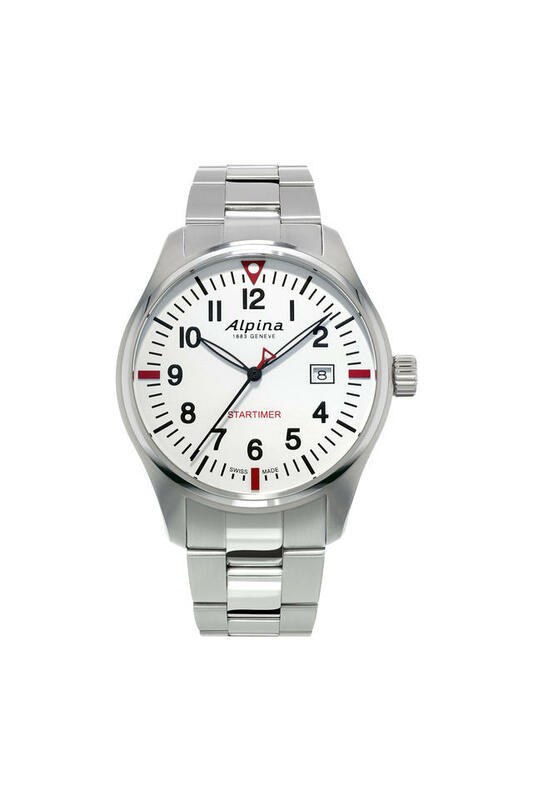 Thus the new Alpina Startimer Pilot Quartz provides a solid combination of practicality and craftsmanship in its construction and functions—and particularly in its details. 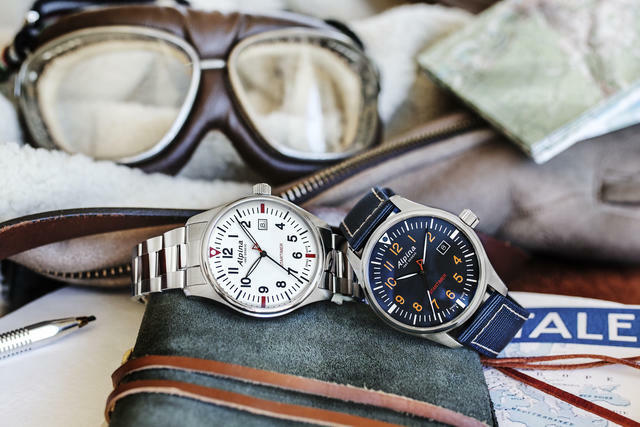 The watch’s 42mm case, which is smaller than the usual Alpina 44mm pilot watchcase, is available in two styles: stainless steel or black PVD-treated stainless steel. 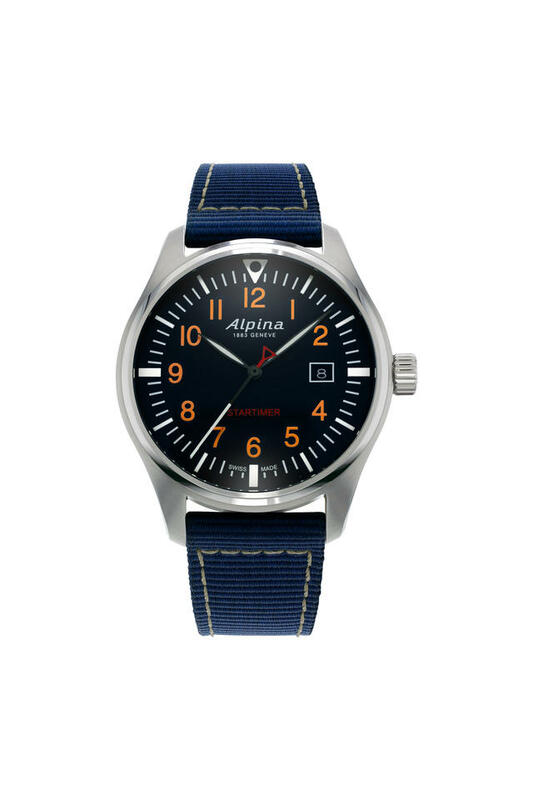 A navy blue, gray or green nylon strap or stainless steel bracelet affixes the watch to the wrist, and dials come in navy blue with orange indexes, silver colored with black indexes and black with white indexes for a total of five variations. Each dial reads “Startimer” in red, just below center.